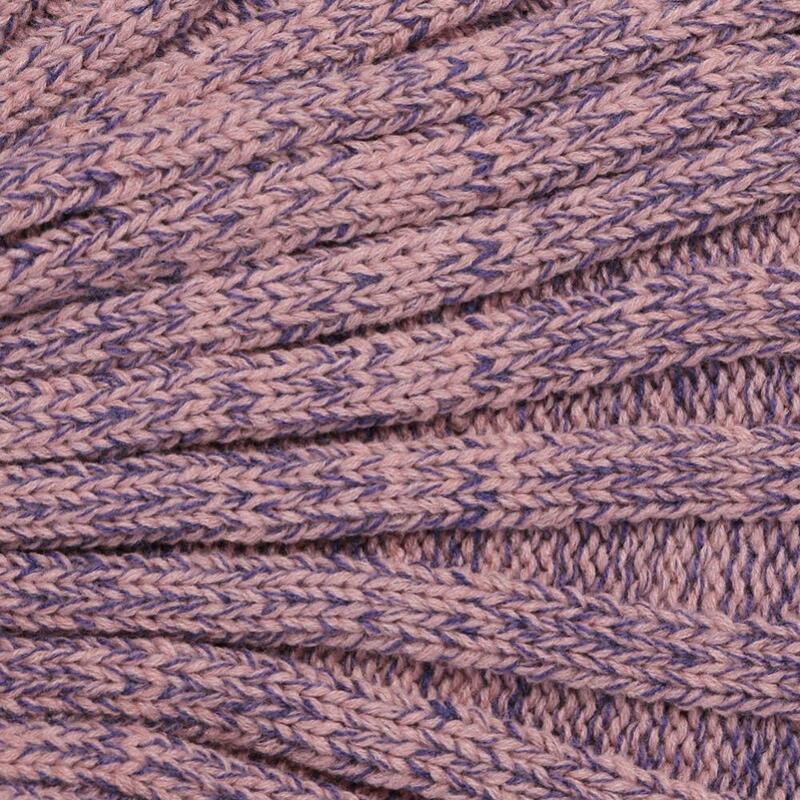 [Material] Cotton + wool + Polyester; size:71"x35.5"(180*90cm),7 colors and styles to choose from, I believe there is always a right for you. 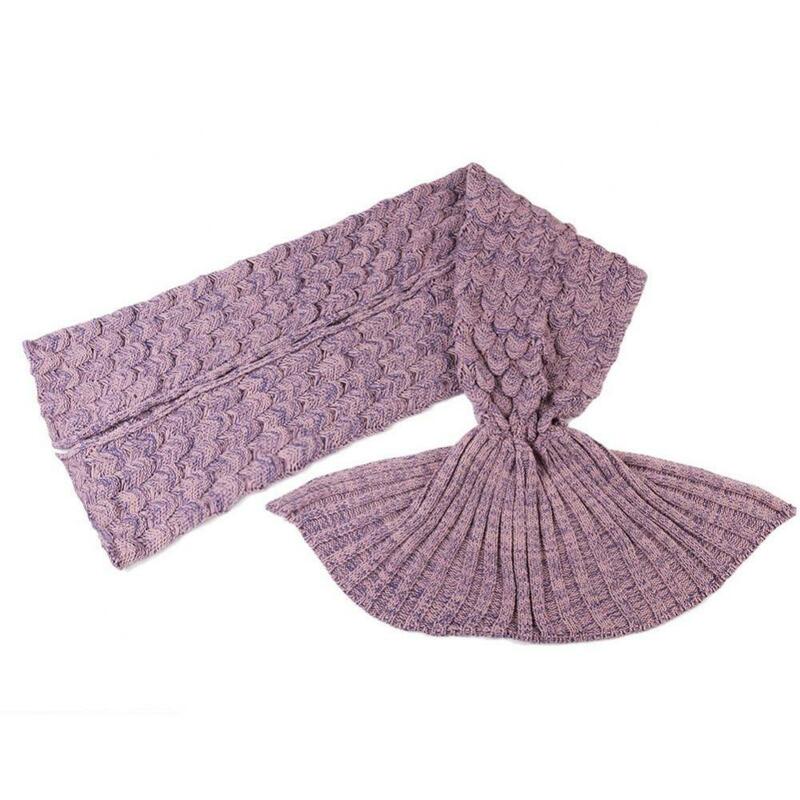 [Feature] Soft and cozy precision knitting mermaid tail blanket , Eco-friendly and Skin-friendly perfect for kids or adults wrap. Adorable and beautiful mermaid tail blanket, like a sleeping bag, could fit your feet go in fins, warm your feet. [Multi-function] Sleeping blanket keeps your kids wife warm in winter, spring and autumn; in summer, it also can keep warm in air conditioning house.Easy inside and out, can be used on the couch, for camping, sleepovers, in bed, in the car - anywhere! [Good Gift] Make your wife girls' mermaid dream come true. It's the best choice as Birthday, Christmas, New Year and all Holiday gifts. To everybody you love, it must be a surprise! We also need a beautiful princess at home, are you still waiting for? 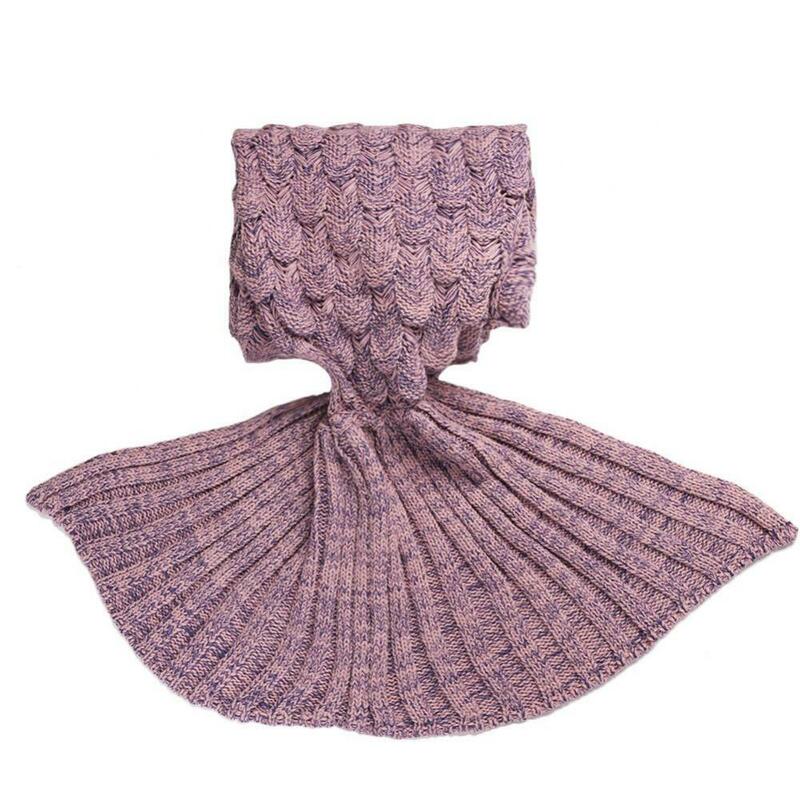 [Washing instructions] This crocheted mermaid blanket can be machine washed at a low temperature and tumble dried. We recommend that you do not wash the blanket with items containing zippers that might snag.May have the taste of wool, please cleaning before use. 2016 Fashion Mermaid Blanket 100 % plush polyester Machine Washable Perfect for Sleepovers, Camping, Lounging, Long Car TripsSlip inside and look and feel like a real mermaid! Sometimes you just want to be a MERMAID!! Let your little one's imagination swim off into blue waters while cozied up in the soft and snuggly Mermaid Tail Blanket. Snuggle up in this fun blanket! This Style Merimaid Tail Blanket is the perfect blanket for a day in with hot cocoa and movies or to cuddle up with a book.